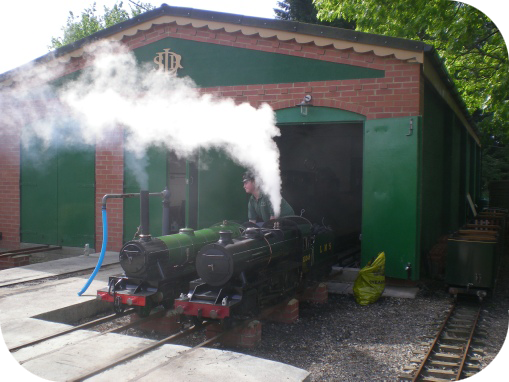 All of the staff on the Railway are volunteers and the railway was built and maintained by the members of the Society. The reason why we joined the SDLRS was that we wanted the fun of running a railway and thoroughly enjoying ourselves in the process. We always welcome new members – we need them to sustain the work of the railway. We always have several development projects on the go and so your participation would be a source of great strength to us. There is something for everyone, with suitable training, acting as a Guard on the train, Signalman, Stationmaster or becoming a driver. There is always a need for people prepared to get involved with track maintenance and other significant works but there are also important roles which people can take on ranging from editorial work to account and record keeping. Membership of South Downs Light Railway Society Limited. What does the Railway get? Your word of mouth endorsement is the most valuable publicity the Railway can have. A new friend. For more details please contact our Membership Secretary Richard Ingram, on 01903 745228 or just pop in and see us.